Assurance Investigations Group specializes in cheating spouse investigations. We understand how sensitive these investigations are to those involved and it is our goal to provide our clients with answers to the questions that can haunt them. When it comes to cheating spouse or infidelity investigations, our #1 goal is get to the truth – whatever that may be. We recognize that every case is different and involves it’s own set of unique circumstances. Therefore, our investigative approach also depends on the specific challenges and objectives we are faced with. Cheating spouse / Infidelity investigations involve several stages. The first stage requires that the investigator get to know your specific situation. Why are you suspicious? What are your objectives? During this stage, the infidelity investigator also will obtain vital case information such as a physical description of our subject and any possible suspects. We typically also obtain vehicle and employment information about our subject as well as the places that he or she may frequent. After obtaining the case information and learning why the client is suspicious, the cheating spouse private investigator will recommend an investigative strategy based on the client’s objectives and budget. Our clients will typically purchase a block of surveillance hours and we may recommend that a GPS device be placed on the vehicle to assist in the investigative process. If GPS is used, we also provide our client with the webpage, username and password so that together we can track the whereabouts of the spouse (subject) and apply surveillance hours accordingly. The next stage of a cheating spouse surveillance investigation involves applying the surveillance hours to the case. The objective here is to apply the surveillance hours to the case during those times when our subject is most likely to engage in cheating or infidelity. It’s important to remember that no one has a crystal ball and we do not know the exact time that infidelity or cheating will take place. It is critical, however, that the cheating spouse private investigator rely on the client when deciding when to apply the surveillance hours to the case. As a licensed cheating spouse private investigator, we may be experts on infidelity investigations, however, we are not “experts” on your spouse. The client is much more of an “expert” on the person we are following than we are. As experienced cheating spouse investigator we understand that we do not know your spouse the way you do. The client is a valuable resource that every cheating spouse investigator should rely on for valuable information and to narrow the margin for error during the investigation. Although our firm is large enough to maintain a statewide presence in Connecticut and Massachusetts and beyond, we also provide our customers the opportunity to deal with one manager at a central office while conducting a cheating spouse investigation. Effective and reliable communication via email, text message or phone call is an essential part of any cheating spouse investigation. During the course of a infidelity private investigation, we communicate regularly with the client and keep the updates coming. Surveillance is the process of documenting what is going on in the world of an individual. No laws are broken. It is 100% legal. I have never hired a private investigator, how do I start? First you need to be sure you retain the services of a reputable, honest licensed detective agency. Make sure they are well established with a track record. Check to be sure they are fully licensed and insured. Check with the Better Business Bureau to be sure there are no complaints about the company. Last of all do your own “gut check” about the agency you are talking to. Do they make you feel at ease? Are they using pressure tactics and hard sell techniques? Surveillance is billed on an hourly basis. Before the project is started, a strategy is established depending on the circumstances and your needs. Once this plan is in place a budget can be established. Investigation services are payable in advance of the work being conducted. Payment can be made by credit card (over the phone if you wish), or by cash, or money order. You will need to let the investigator know at which times you think the suspected activity is taking place. Will we need to follow the person from home or from work? Does the person have a fixed schedule? Do you know anything about the suspected other party. All these questions and more go into creating an effective surveillance strategy. What will I need to tell the investigator? The following are some of the things that help us get the investigation started. You may not have all the information, however the more you have the better. The investigator will need a photograph of the person being investigated. If the subject is being followed from home, it can also helpful to have photographs of other members of the household. We will need a complete description of the subject, weight, height, hair color, etc. If you think you know the other party they are cheating with, give us whatever information you know about them. We will need to know the make, model and color of the subject’s vehicle, with license plate if possible. If we are following them from work, we will need to know the type of parking and where they park their vehicle. We will also need to know the driving habits of the subject and the addresses of places you think they may visit. How many agents are used on a domestic surveillance case? The number of agents used depends on a number of factors. Basic surveillance on an individual being followed from home or an uncomplicated work situation can be conducted by one agent. More complicated scenarios, such as following someone from a high rise office building, or airport or hotel require an additional agent. Other factors in which we may recommend a second agent include fast and aggressive drivers and extra alert drivers who always watch the rear view mirror. Of course an additional agent increases the cost of a surveillance, and this factor is also taken into consideration in arriving at your budget. First we will ask if the phone number you give is secure. Saying it is secure means that only you or someone you trust answers the phone and that we can safely leave a voice mail message if no one answers. If the number is not secure, we will discuss other strategies. When we contact you the first thing we will say is “is this a good time to talk”. If the subject or someone else is present and you can’t talk, you can say “no” or you can say “you have the wrong number” or anything else. We will hang up and you can call us back when it is safe. Once the surveillance plan is in place it is important that you do not do anything to tip off the subject to the investigation. Do not change your habits and do not ask too many questions about their activities . Our surveillance investigations are 100% confidential. We do everything necessary to insure the covert nature of the investigation. If we ever perceive that the security of the investigation is threatened, we pull back and with your input reconsider the tactics being deployed. The evidence collected in domestic surveillance consists of the videotape of the activities and a surveillance report which details all the activity in writing. Both are submitted to you, or if you wish we can maintain them for you. What sets Assurance Investigations Group apart from other detective agencies? 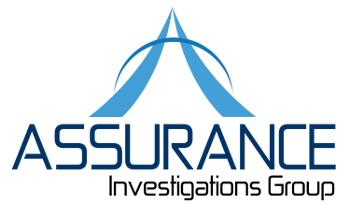 At Assurance Investigations Group we pride ourselves in delivering only the highest level of quality of work. Unlike the inexperienced entry level investigators that are assigned to your cases by others, Assurance Investigations Group investigators average over 12 years of experience and are locally based with the know how it takes to get the job done right consistently. We provide our customers with the highest level of customer service. We give each and every case the individual attention it takes to fully understand the dynamics of the case allowing us to develop a detailed plan of action targeting the best course of action. We know every situation is different and we are flexible enough to create a win for your situation, no matter how difficult.